At this point I must admit that last week's call for black magick was useless. Since there's no point in summoning sorcery for this week, I'm just praying the Giants don't get swept by the Padres this weekend and ending the season with 100 losses. Since I'm tuning in to that series while in Atlanta, this week's Fresh Fitted Friday selection is a Greenville Braves cap. Bonus points for this week's photos at a Pearle Vision in Roswell, GA. And extra bonus points for the 70's interior. 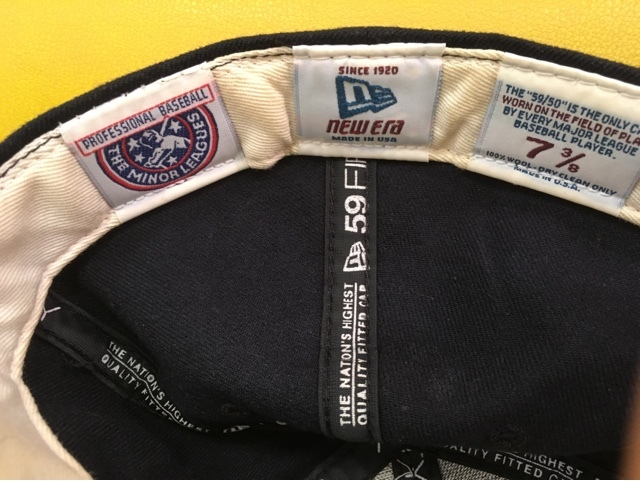 While the sweatband tags and satin taping style are consistent with caps I've featured from the mid 1990's, this cap is most likely not from any time before 1999 which is when the New Era flag began to appear on minor league caps. This Joe Nelson card from 1999 is the oldest Greenville Braves card I could find with a player in a cap sporting the New Era flag. This cap logo is a reminder of how dominant the Atlanta Braves were from 1991 through 2005. I remember seeing many games between Atlanta's Triple-A affiliate Richmond Braves play my hometown Tidewater Tides who were the top farm club of the New York Mets. I rooted for the Mets but it was difficult to be devoted at an early age to such a terrible team. I was an autograph fiend and went to great lengths to get signatures from Braves prospects like Chipper Jones and Ryan Klesko, both of whom had also played for the Double-A affiliate in Greenville, SC. 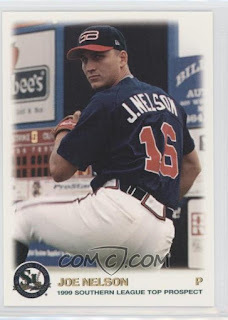 I always thought the GB lettering on that cap was so appealing and to this day it's the only Braves cap that I would feel comfortable wearing. 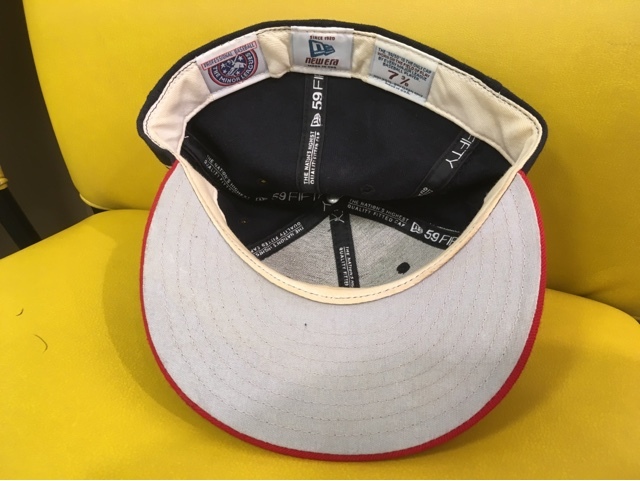 Lids recently did an exclusive retro cap collaboration with Ebbets Field Flannels and sadly the Greenville Braves were not one of the 36 caps chosen for that release. 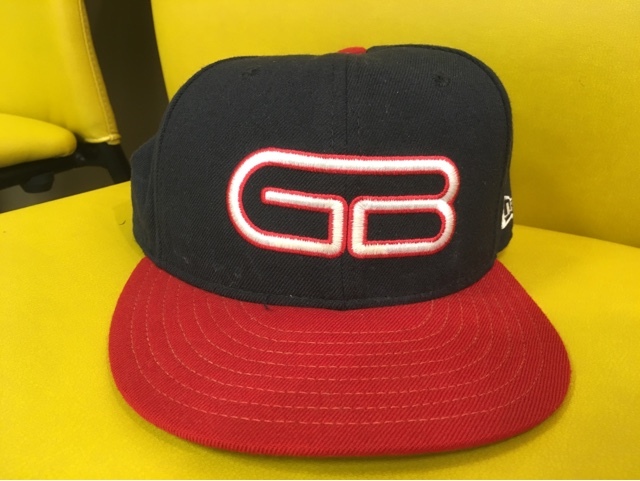 I've pestered Ebbets to make this cap and even asked the Gwinnett Braves to consider the logo as a potential throwback but I doubt that'll happen since the team name is changing in 2018. The new name hasn't been announced yet but I'm hoping for "Lambchops" even though I don't know of any correlation between the region and lamb or sheep. I figure most people would end up referring to the the team as the Chops since I don't think fans in Gwinnett are ready to cheer for a team with a name lacking some sort of reference to their parent team. The Gwinnett Buttons is also in the running so if they chose that name then a GB throwback is still in play. They could also go by the Buttonchops and still be called the Chops! 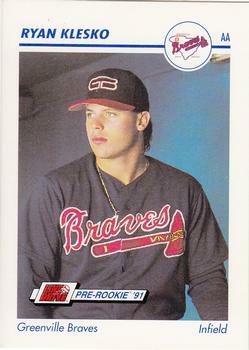 Lastly, I think the Gwinnett Greenhorns has a good ring to it but I can't imagine a Triple-A player wanting to be called a Greenhorn, even if he doesn't know what it means. Well, I hope you enjoyed my musings and ramblings on this sweet Greenville Braves cap and I'm looking forward to seeing y'all back here next week for more fun. This cap isn't for sale or trade however don't hesitate to reach out if there's something you like on the Trading Block and you are willing to part with any of the hats on my Wish List. Ft. Lauderdale Yankees - Fresh Fitted Friday!! !